Back in April, I called Infuse the best media player for iOS out there. VLC hadn’t returned to the App Store at the time, and Infuse was the slickest, most versatile video player available in the App Store. 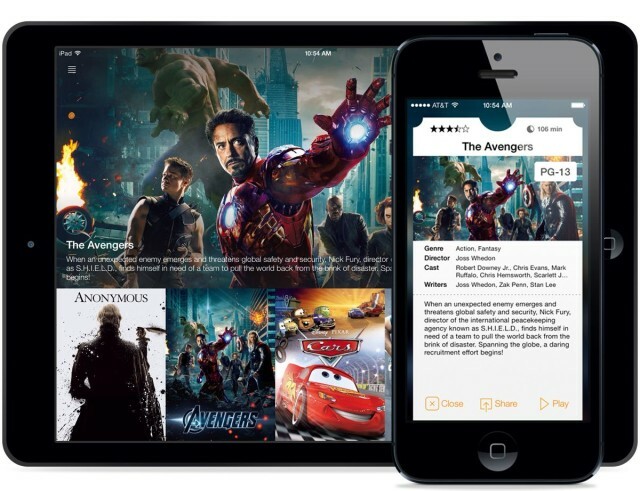 VLC for iOS made its triumphant over the summer, but Infuse continued to hold its own with support for over a dozen video formats, AirPlay, and video transfers over WiFi. 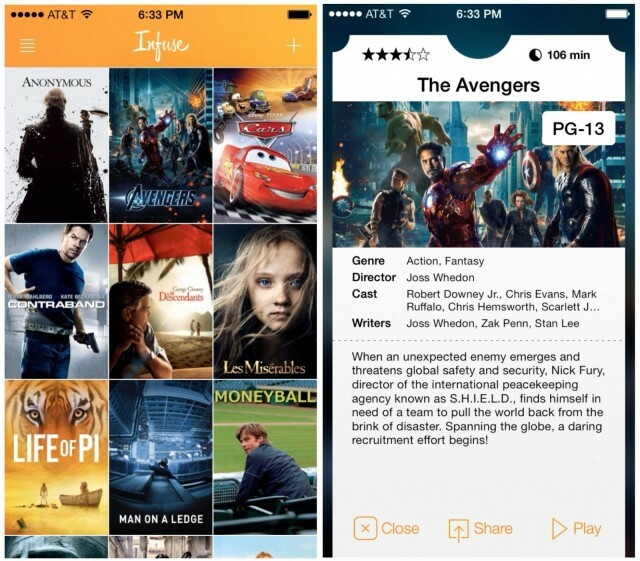 But after the release of iOS 7, Infuse’s theatre-like UI started to look dated. Today FireCore released Infuse 2.0, the app’s biggest update yet that includes a completely redesigned interface, more video formats, 1080p with surround sound playback, and improved streaming. The new interface in Infuse 2.0 is much cleaner and very iOS 7-friendly. The poster grid design of the main window that shows all your movies is fundamentally the same. A nice marquee at the top of the screen (iPad-only) slides every few seconds between videos showing a promotional image, the title, and a brief summary. Apple’s Video app only supports videos that can be played in iTunes, so you need to use some sort of converter to reformat videos before loading them. Like VLC, the best part of Infuse is that it requires no converting; the app supports over 14 formats, including .mkv, .avi, .mp4, and .wmv. If your video doesn’t have the right title or metadata, Infuse will automatically download and display the correct details, including Retina-quaility cover art and subtitles (31 languages). If you use trakt.tv, you can login into your account to submit ratings and post shouts from Infuse. You would normally have to load videos from your computer into Infuse via iTunes, but FireCore has built a drag and drop transfer platform that can be accessed from a web browser. That means no iTunes syncing required. The ability to add videos and manage your existing Infuse library from a desktop browser is a godsend. There’s also support for FTP and shared drive file transfers. 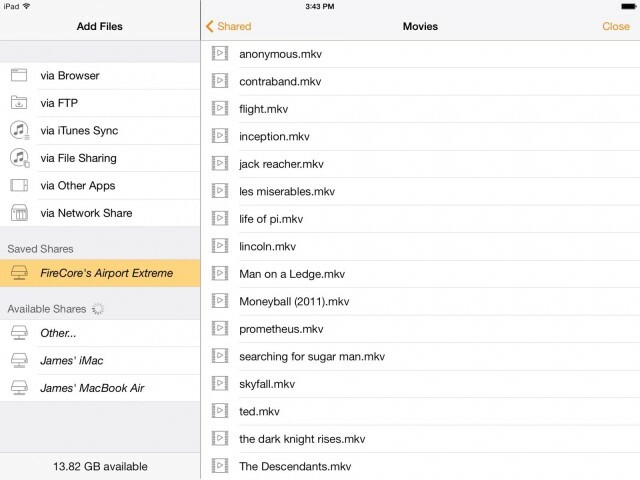 When it comes to file management, I have found no iOS app better for video than Infuse. 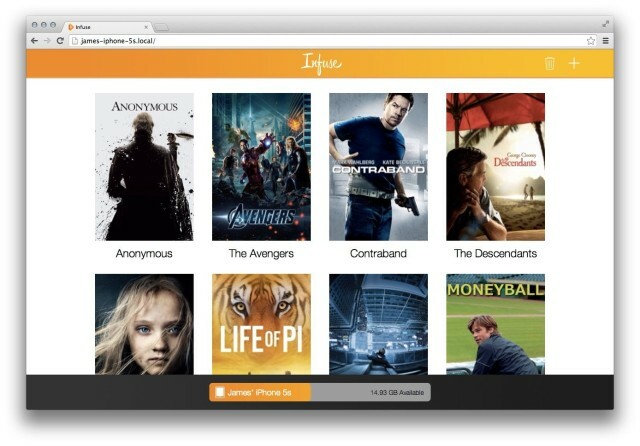 Infuse 2.0 is available now for free as a universal download.